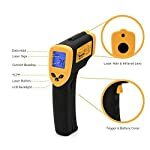 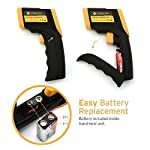 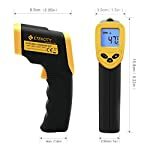 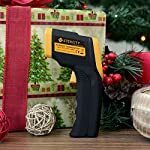 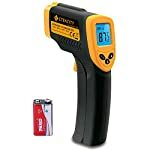 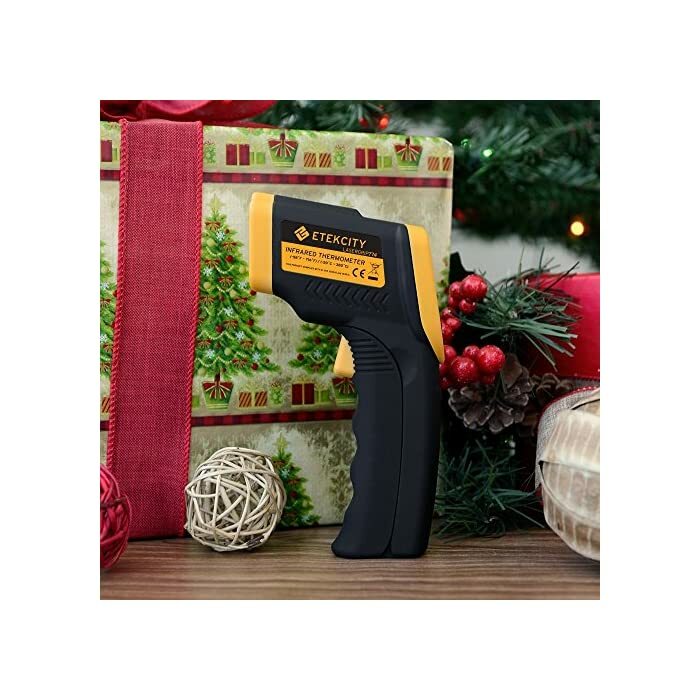 Etekcity Lasergrip 774 Non-contact Digital Laser IR Infrared Thermometer, -50°C – 380°C ( -58°F~716°F ), Instant Read Temperature Gun, Rubber Paint Technology, Yellow/Black | PHDsmart Ltd. 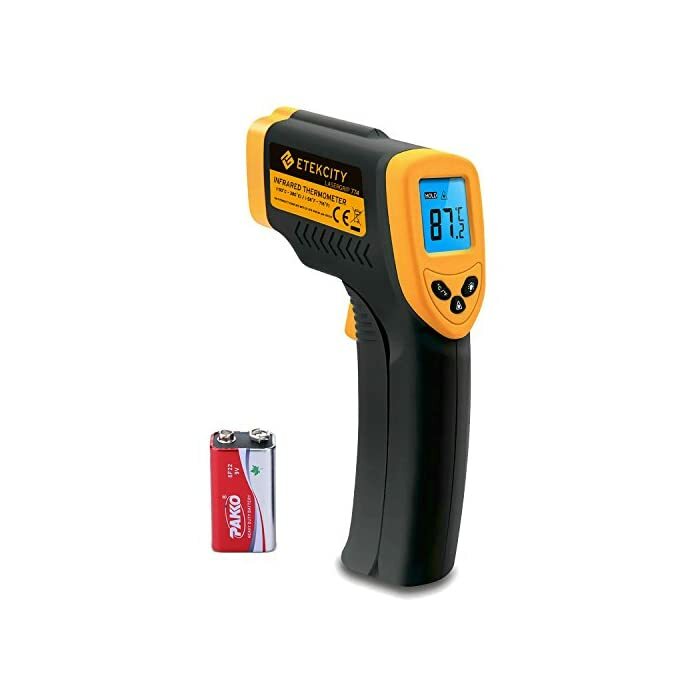 Better Accuracy: The Distance to Spot Ratio is 12:1, meaning the Lasergrip 774 can accurately measure targets at greater distances compared to most other IR Thermometers. 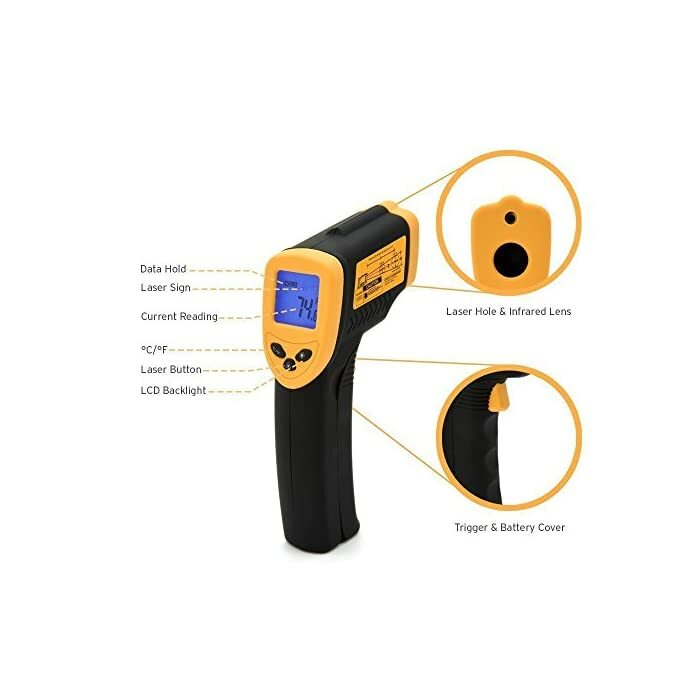 Target Quicker: A built in Laser gives you the precision to hone in on the exact space you want to measure. Don’t blindly guess where you’re pointing your Infrared Thermometer. 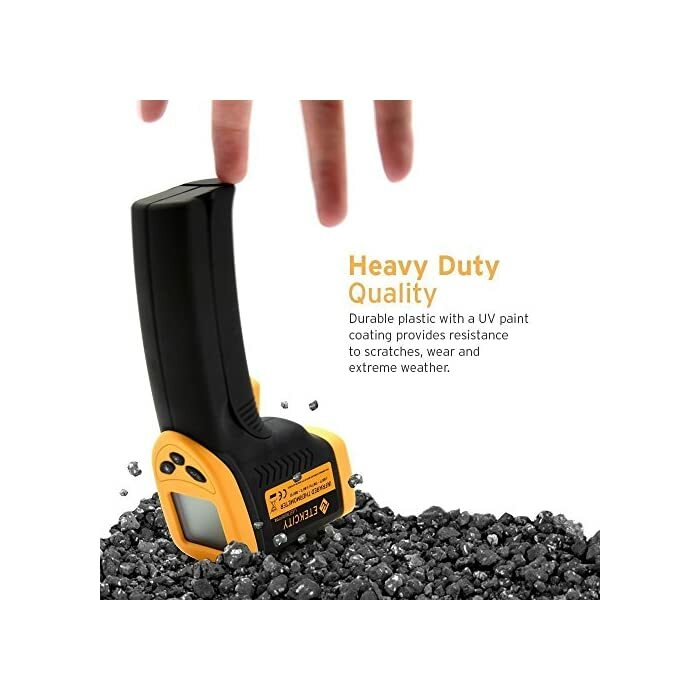 Order Now and Enjoy the Convenience of Our 2 Year New Replacement Warranty! 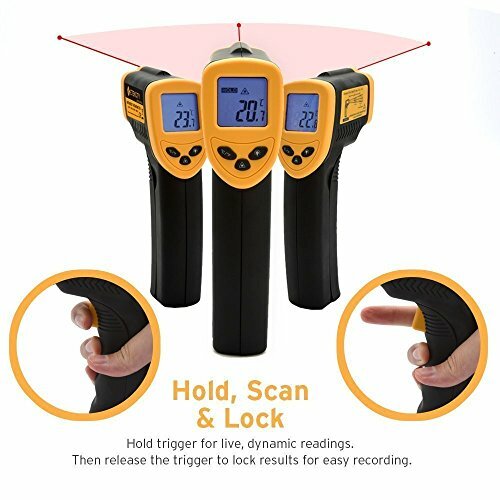 Point, Aim, and Measure. 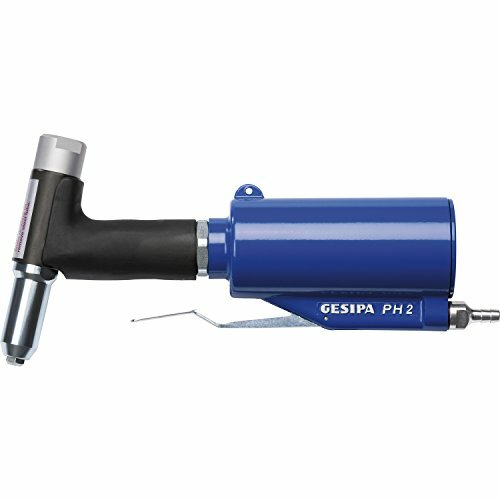 With operation this simple, surface temperature measurement can be done in an instant. 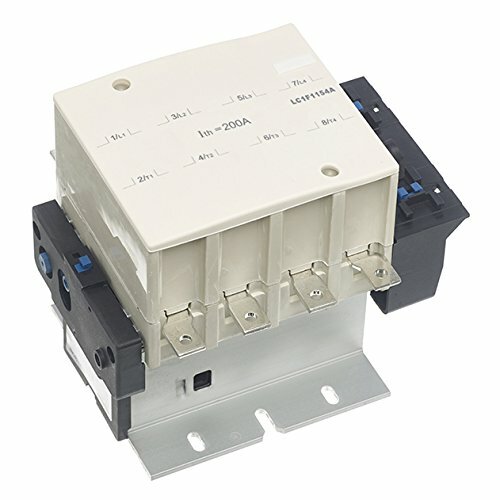 There’s no waiting or setup required. This handy household tool also features laser visual guidance, so you’ll always know you are scanning the right spot. It makes for better accuracy and easier operation. Safely measure extreme temperatures ranging from -50°C (-58°F) to 380°C (716°F) without ever needing to come in contact. 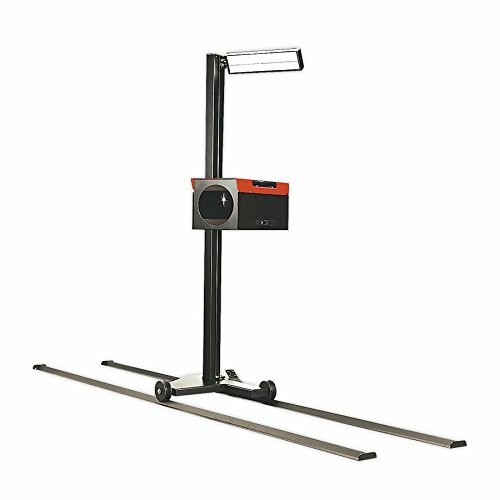 Practical for both indoor and outdoor use, the Lasergrip 774 is simple to operate and easy to store. 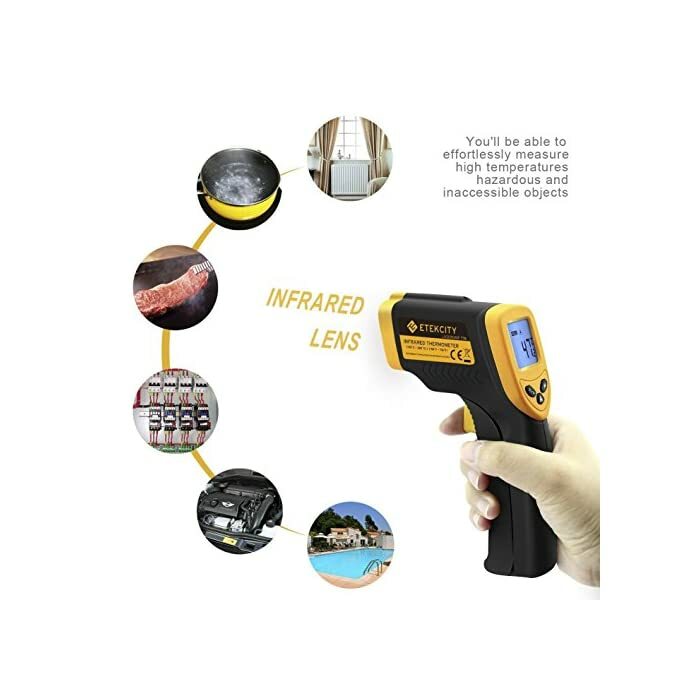 Use the infrared temperature scanner for a high range of applications, from internal electronic components to oven temperatures. 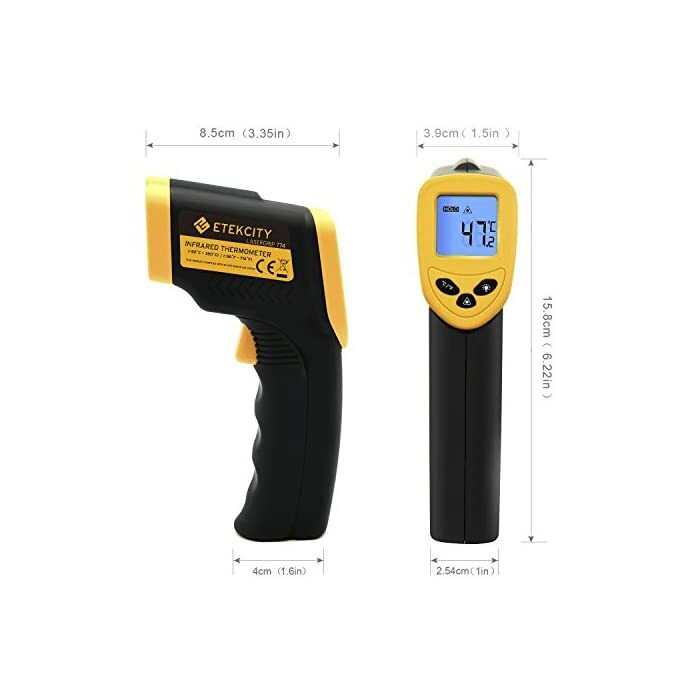 With a temperature measurement range that surpasses boiling points, the possibilities are endless. 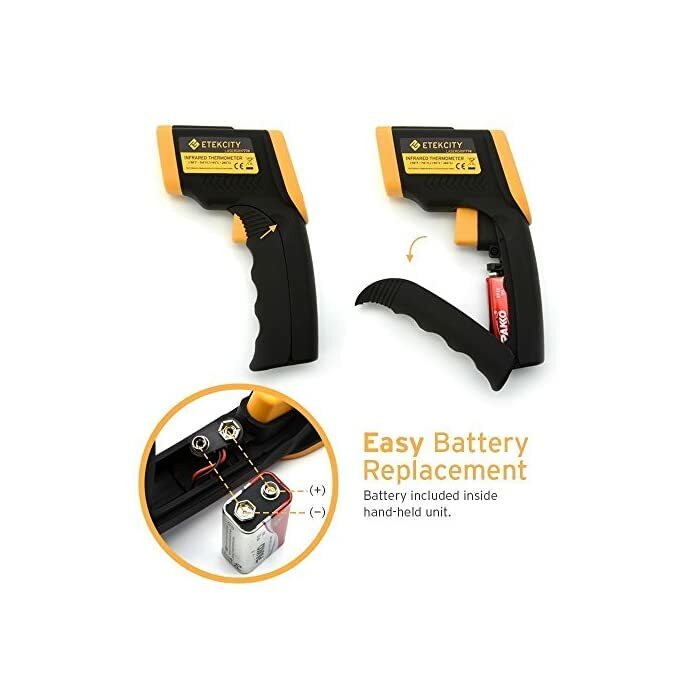 The Etekcity Lasergrip 774 is handy for a large range of household uses and tasks. Use it in the kitchen for instant surface temperature measurements of food, oven walls, grill, and refrigerator. 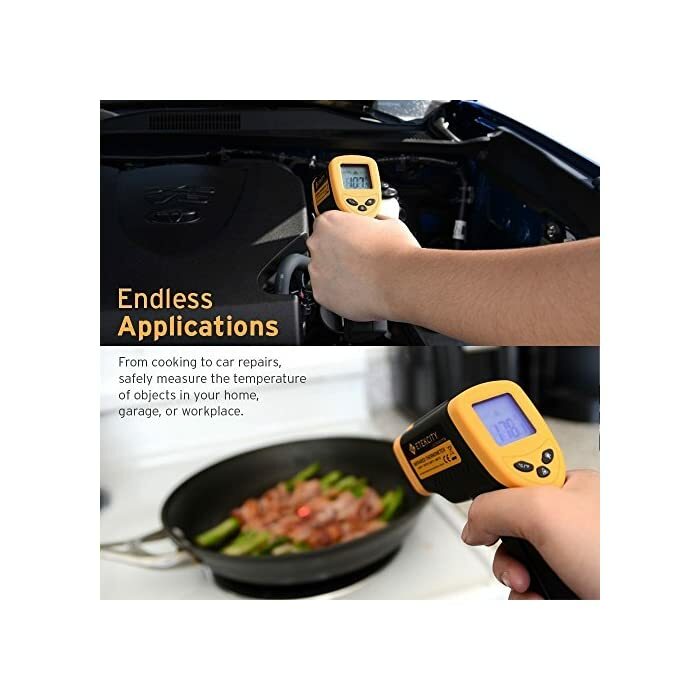 Scan for hot pipes, heating vents, radiators and other hvac problems in your home. 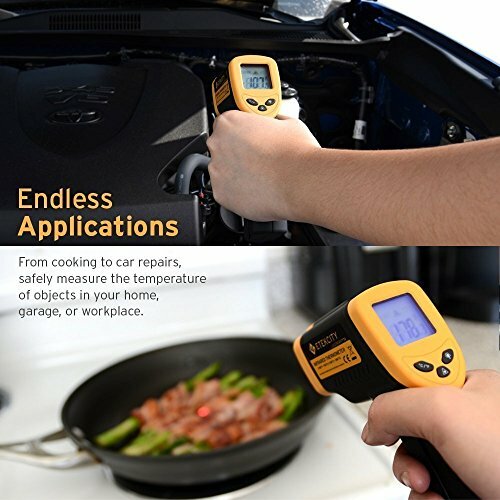 Check the temperature of your car’s cooling system, engine, brake and more. 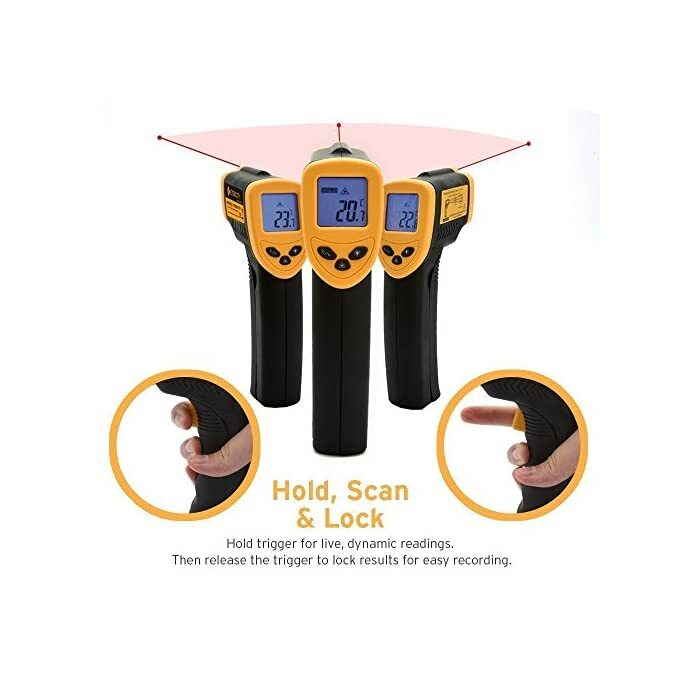 This device CAN NOT be used for measuring human’s body temperature. But if you want to, we suggest you buy Etekcity Body Infrared Thermometer. 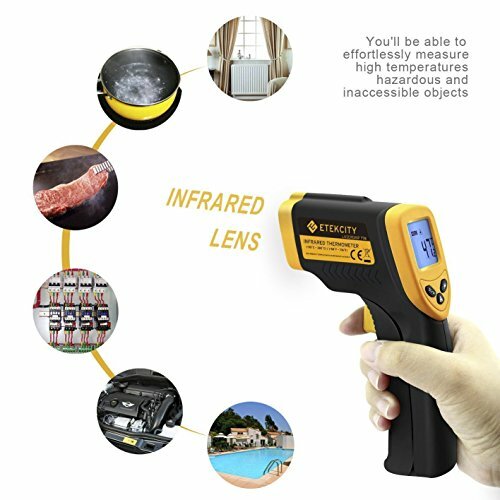 FDA, FCC, CE, ROHS approved; 2-Year Warranty by Etekcity. 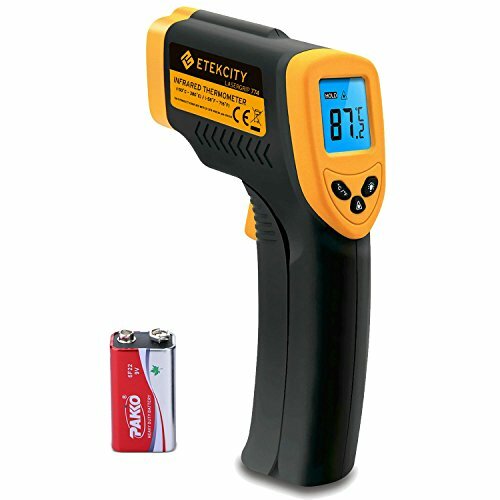 Note: Temperature readings from this devices are inanimate objects. 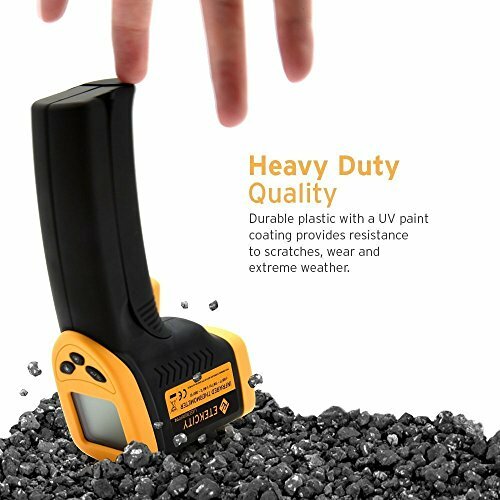 The measured temperature for humans or animals will not be correct.